Adrian Mateos is one of the brightest young stars on the live tournament poker circuit. 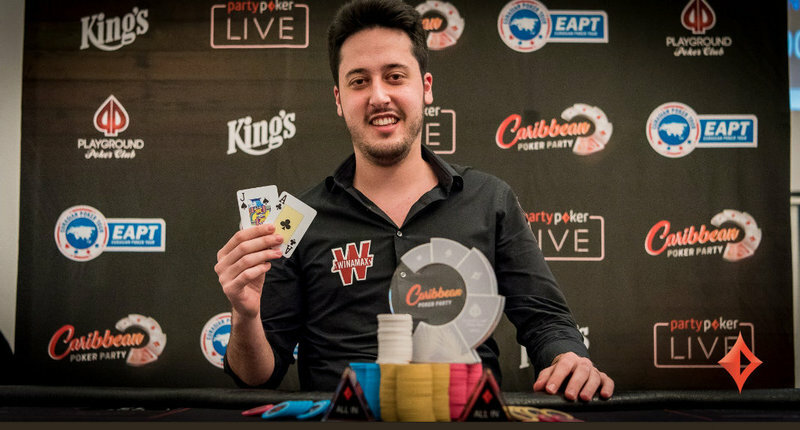 The 23-year-old Spanish poker pro has had an incredible 2017, and his latest big score being a title run in the 2017 Caribbean Poker Party $5,300 MILLIONS Finale. The tournament drew a total field of 215 entries to just surpass the $1,000,000 guarantee. In the end, Mateos outlasted every other competitor to win his fourth title of the year and the first-place prize of $250,000. In addition to the money and a trophy, Mateos was also awarded 720 Card Player Player of the Year points for the win. This was Mateos’ 17th final table finish of the year, the second most of any player in the Player of the Year race behind only current POY leader Bryn Kenney. With 5,822 total points and $4,816,271 in year-to-date earnings, Mateos has climbed into second place in the overall POY standings which is presented by the Commerce Casino & Hotel for 2017. Mateos is now only 886 points outside of the outright lead. Mateos came into this event fresh off a fourth-place showing in the $25,500 high roller at the 2017 Caribbean Poker Party series held by Party Poker LIVE at the Melia Caribe Tropical in Punta Cana, Dominican Republic. Just four days after cashing for $110,000 in that event he entered the final day of this tournament in seventh chip position with 26 players remaining. By the time the field was thinned to just nine players Mateos had improved to fourth place on the leaderboard. Mateos then knocked out Pavel Plesuv in ninth place ($27,500) to take the outright lead. Mateos scored two more eliminations en route to setting a heads-up battle with Anatoly Filatov, who took more than a 3-to-2 advantage into the final showdown. Mateos was able to overtake the lead by winning a key pot holding pocket aces. He was able to convert that lead into a title, sealing the deal when his A J held up against Filatov’s 6 5 on a runout of 10 10 4 2 Q . With that Mateos secured the win and sent Filatov to the rail in second place with $165,000. Winner photo credit: Party Poker LIVE.